We study plankton communities in their natural environment, with the idea of not interfering with species interactions and dynamics. Our objectives are to study bottom-up (e.g. 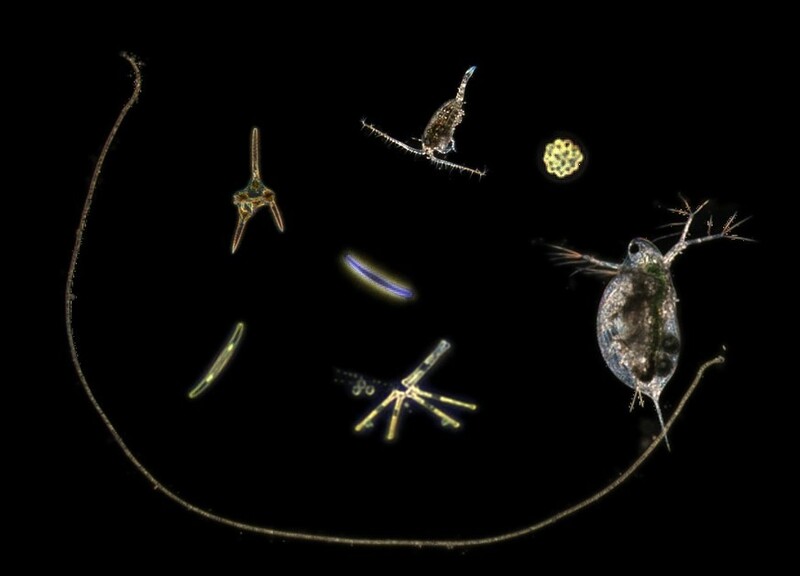 water physics and chemistry changes like climate warming and eutrophication) and top-down (natural enemies like parasites and grazers) controls of plankton community change. We want to understand interactions and mechanisms that regulate community composition and relative abundances of species, and predict community dynamics across scales of space and time, including the forecasting of cyanobacterial blooms. 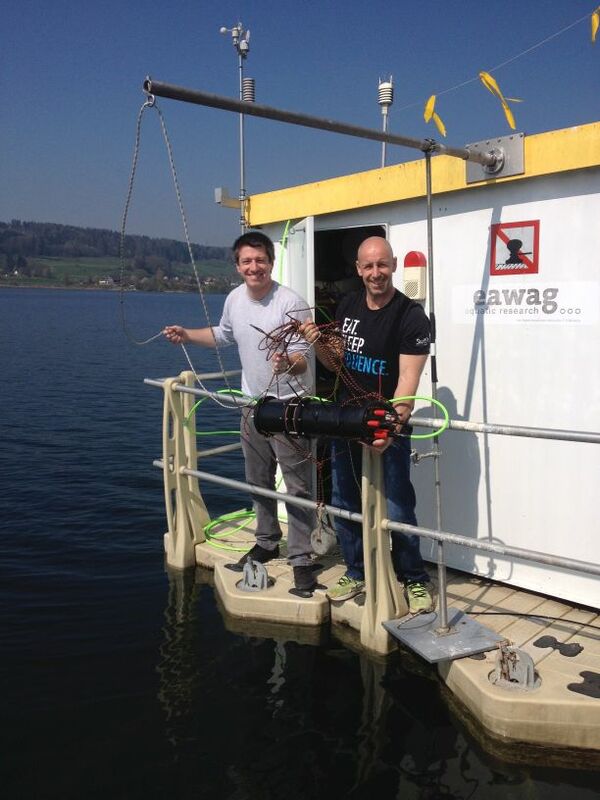 The Eawag Plankton Camera is currently deployed in Greifensee for a test prediod, installed inside our automated lake monitoring station. The camera is monitoring phytoplankton (size range 10 um – 150 um) and zooplankton (size range 100 um – 1.5 mm) at 3 m depth, during day and night. The Eawag Plankton Camera allows imaging of planktonic microbes in their natural environment without disrupting or disturbing natural aggregation of species. The camera is a darkfield dual-magnification microscope that uses a USB3 machine vision camera with and embedded ARM-based computer for real-time object detection and recording. A high-power white LED is used to form a converging cone of illumination. Only scattered light from objects in the volume are imaged and hence objects have a bright appearance on a dark background. Dark field illumination provides high contrast colour images with no background, assisting image analysis and classification. The underwater dual-magnification camera is designed based on the Scripps Plankton Camera system by the Jaffe Laboratory of Underwater Imaging at the University of California, San Diego (Scripps Institution of Oceanography), in collaboration with the Pomati Group of Phytoplankton Ecology at Eawag. The instrument was funded by the Swiss Federal Office for the Environment (BAFU), grant num. Q392-1149.